Many Adelaide families are placing themselves under significant and often unnecessary stress. That’s the view of aged care expert David Coluccio, Principal with Senexus. When faced with an ageing parent with declining health, most people choose one of two options. The first is to put in place measures to allow their parent to continue to live in their own home. The second is to arrange for their parent to live with them. The age care reforms implemented by the Federal government since 2014 have provided an incentive for people to receive care in their own homes. The tsunami of advertising by age care providers would also have you believe that the service offering is comprehensive and the process straightforward. Fortunately for those providers, these services align with the desires of most people who require care while also appearing to be a panacea for children who don’t want to upset their parent. The result has been a massive increase in demand for Commonwealth funded home care packages. For many people, accessing a Home Care Package is a convenient, useful and appropriate support mechanism that allows them to continue living largely independent and fulfilling lives. However, at Senexus, we are becoming concerned that many people think that a Home Care Package will similarly allow a person with high care needs to continue to live independently. A Level 4 Home Care Package will typically provide no more than 14 hours per week of service support. That leaves 154 hours per week! The reality of the situation is that a person with high care needs very often requires significant support from family members to continue to function effectively. Sometimes, this starts out as an entirely manageable situation but becomes untenable as a person’s care needs grow over time. Sometimes, a person lacks insight into the extent of support they require. This is often true for the carer too, who can underestimate the level of time, emotional energy, expertise and physical strength it requires to care for someone. We have had many clients tell us that their parent lives at home with the support of a home care package. Upon further exploration, it in fact becomes evident that their parent is living at home as a result of the significant support being provided by their family. Providing care to a parent naturally appeals to most of us as the right thing to do and in many situations it is perfectly appropriate. Nonetheless, it must be recognised that it can be a demanding role. It can involve preparing regular meals, helping with showering, dressing, and grooming as well as with assistance toileting. It can involve transporting them to social activities or medical appointments. These demands can consume significant time. However, what almost all families underestimate is the emotional impact of this role. The demands of caring for a high-needs parent come with a trade-off. It can be time spent with one’s own children or grandchildren. It may be a reduction in working hours. It can result in physical exhaustion and increasing bouts of ill-health for yourself. Perniciously, these outcomes compound each other to erode emotional resilience. At worst, we have seen clients who have come to utterly resent the parent they have been caring for, and this is not a situation that anyone wants to be in. 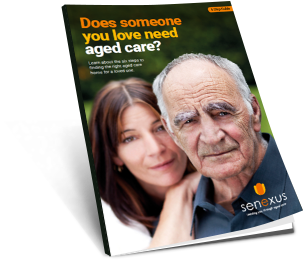 At Senexus, we find ourselves regularly reinforcing for our clients the virtues of residential aged care as a care option. It is not unusual for our clients to talk about feeling like they are failing their parent, or spouse, if they place them into residential aged care; that it is somehow wrong to take up the option of professional care. It is true that residential aged care is not the best option for some people and for some families, but for others it can work wonderfully well. Too often the advantages of residential aged care are lost amongst the stereotype and the fear associated with old age and increasing dependency. The round-the-clock supervision available in residential aged care, along with fit-for-purpose amenities and specialist programs can provide a safe, supportive and social environment for the person needing care. But one of the largely unheralded benefits of residential aged care is that in relieving families of the daily responsibility of caregiving, it can enable much healthier relationships to flourish. These can be between the person being cared for and their spouse, or children, or it can be between those members of the family who were (or perhaps weren’t) providing the support at home. In many instances we have witnessed relationships improve dramatically after a parent with high care needs has decided to leave an increasingly stressful and untenable home environment for the care offering available in residential aged care. How much time will it realistically take to provide the support required and how much time am I able to make available? Are there other people who can and will share the workload with me? Are there risks to my physical wellbeing with any of the tasks I will be required to do? How well do I get on with my parent now? Is this likely to improve or worsen if I am providing care regularly? How well do I deal with stress? Can I, and my parent, cope with the caregiver / care receiver role reversal? 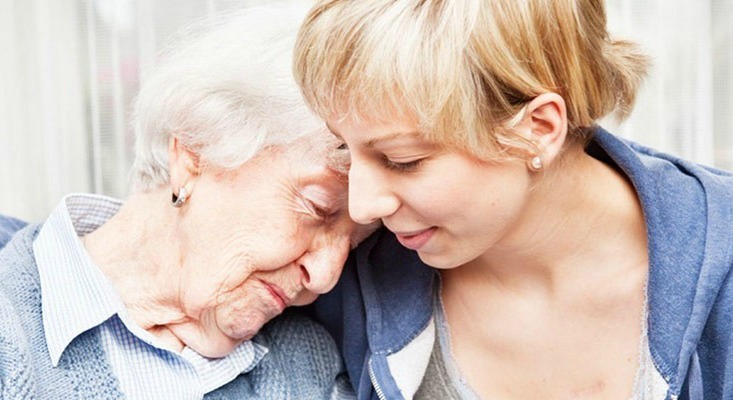 Home care for an elderly parent is a valid and appropriate support service. However, we hope that by sharing our clients’ experiences more people will understand that having a high-needs parent live at home simply cannot be done without a very high level of support from family. As a child we want to do the right thing by our parents. However, sometimes, by taking on an excessive caring role, we run the risk of doing the opposite. In the last years or months of someone’s life we would far rather that they enjoy loving and kind relationships with their children and not, as we sometimes see, relationships fuelled by resentment and exhaustion. David Coluccio is principal with Senexus, an Adelaide consultancy that specialises in leading families through the complexities of the aged care system.